*You MUST own Infinite Player in order to use this library. Infinite Player is not available for purchase at this time. The John Blackwell Tam Brush Multitrack Drum Kit is part of the Drum Masters series where you can pick out a la carte kits and grooves that work with Sonic Reality’s Infinite Player plugin and build one of the most powerful virtual drum collections ever! This product is a multi-sampled Tama® Star Classic® drum kit made to be played from Sonic Reality’s Infinite Player. It was recorded at Dungeon Studios in Miami with R&B/Fusion/Pop/Hip Hop drummer John Blackwell. Multiple mic options and a medium to large sized live room make this a versatile kit to produce a wide variety of drum sounds from. The Tama Star Classic is the main kit that John uses with artists such as Prince, Timbaland and Justin Timberlake. This kit was played with brushes with snares on and features a Yamaha® Sub Kick for getting deep bass tones ideal for Hip Hop, R&B and Pop. Whether you play from the keyboard, V-Drums™ or any electronic drum kit, Drum Masters 2 has some of the most advanced features for round robin randomization of hits, performance articulations like ghost notes, snare rolls, and hits from center to edge to rim. With new “ MIDI learn”, custom kits can be tailored for any drum pad set up. It includes GM, iMap and a new Performance mode for expressive MIDI grooves and universal compatibility all in one package. Top that off with ready to go mixes, built-in effects and infinite expandability, Drum Masters 2 is the ultimate virtual drum solution! Drum Masters 2 Multitrack Drums put you in control of the mix as if you had the original multitrack master tapes in your hands! An accurate simulation of classic drum sounds allows you to create your own music with rare flavors of sound that were previously only a luxury to very few. This is ultimate production power inside your computer! Drum Masters kits can be combined with authentic played audio grooves from the same session to create the most realistic simulation of a live multi-track drum session of any drum plug-in today. • Diverse Range of Kits: Unique custom and vintage drum kits from legendary drummers and top drum brands. • GM and iMap Drum Maps: Both General Midi and Sonic Reality’s award-winning iMap drum layouts for the ultimate in compatibility and expressive realism when creating drum tracks. • Round Robin Randomized Hits! All Drum Masters kits articulations have been alternated for round robin and/or randomization capabilities, allowing for the most humanly realistic and expressive sound possible. • Dynamic Velocities and Multiple Drum Positions! 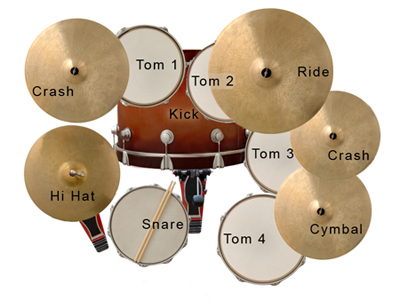 Drum Kits are mapped both with multiple velocities and a variety of positions of each drum from center to edge to rim. • Unlimited Custom Kits Can Be Made! Drum Master kits are flexible and customizable allowing the ability to swap out kit pieces between kits to create your own custom hybrid drum kits. iMap is a proprietary MIDI note mapping/drum kit layout scheme developed by Sonic Reality that facilitates improved live performance of drum kits via MIDI keyboard. iMap places drums in their most flexible and intuitive position, allowing each of the fingers on both hands independent and coordinated control over the sampled kit. With little practice, it is possible to lay down complete drum grooves in a single take that have incredible feel and groove. I-Map has left and right stick positions per drum as well as a variety of positions from center to edge to rim. It includes additional performance articulations you don’t often get from other drum products such as left and right keys for snare rolls, separate ghost notes, hat foot open, chokes, crashing rides and more. GM is the classic mapping format for standard MIDI files. 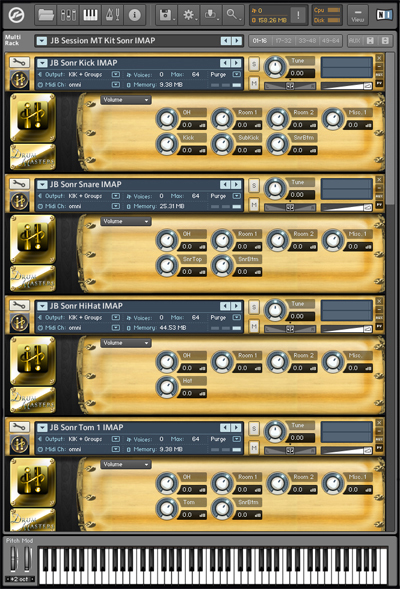 Sonic Reality’s IMAP/GM remapping button works by putting selected IMAP notes remapped to GM notes instead. You can change an entire multi kit from IMAP to GM with one simple key switch. This offers the best of cutting edge expression without sacrificing universal compatibility with GM MIDI loops. All Drum Masters 2 kits have been mapped for Roland's TD-20 V-Drum brain. V-Drum mapping features include a snare drum rimshot/sidestick switch and intricate hi-hat articulation controls. Round robin randomization and detailed articulation sampling introduce a realistic approach to e-drumming! 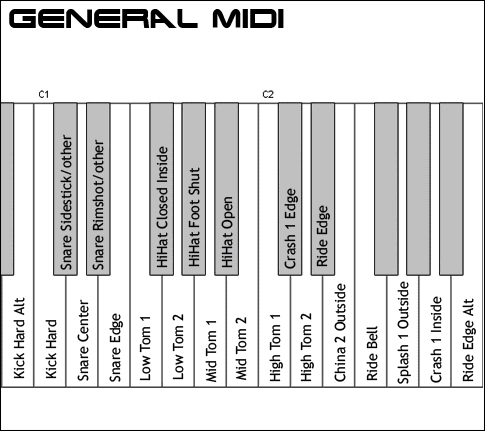 Assign any articulation of any instrument to any MIDI note! By either using the MIDI Learn function or an interface knob, this mapping panel allows for ultimate flexibility for use with any electronic drum kit, multi-pad controller or any other MIDI device. 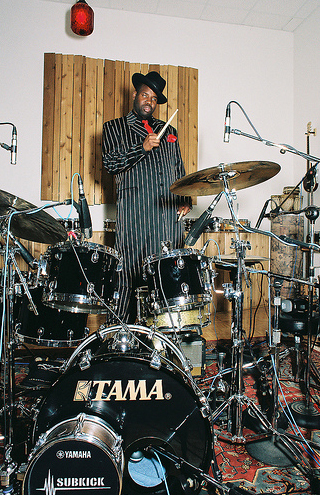 Kit Info: These are samples of John Blackwell's Tama drum kit. 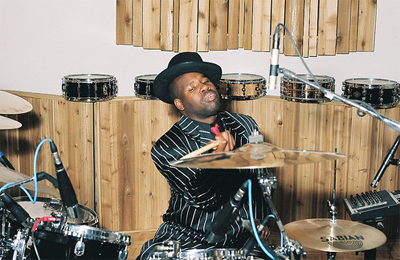 Sonic Reality conducted a marathon sampling session with John Blackwell in Miami, and this is his main kit when he performs around the world with artists such as Prince and Justin Timberlake. This kit delivers the tight, poppy, funky sound that makes Blackwell one of today's most sought-after drummers - in your own studio!